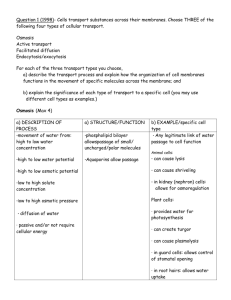 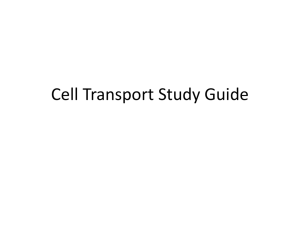 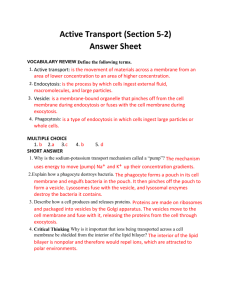 • Compare endocytosis and exocytosis. 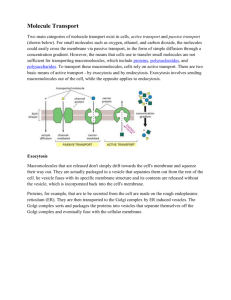 concentrated to the side where they are more concentrated. 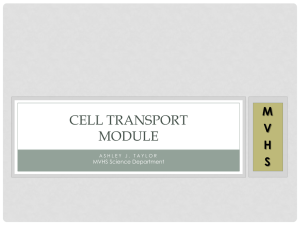 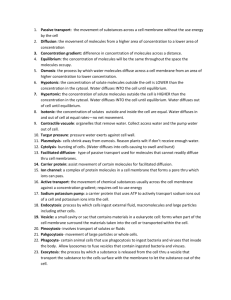 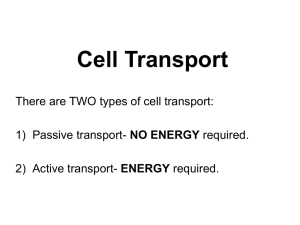 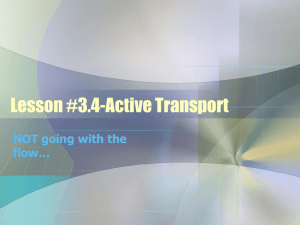 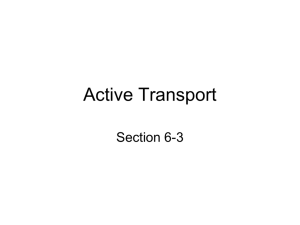 • This active transport requires metabolic energy via ATP. 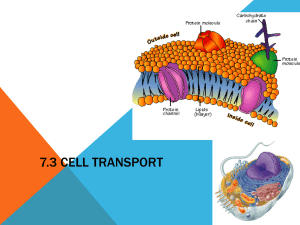 the membranes called transport protein (T. protein). 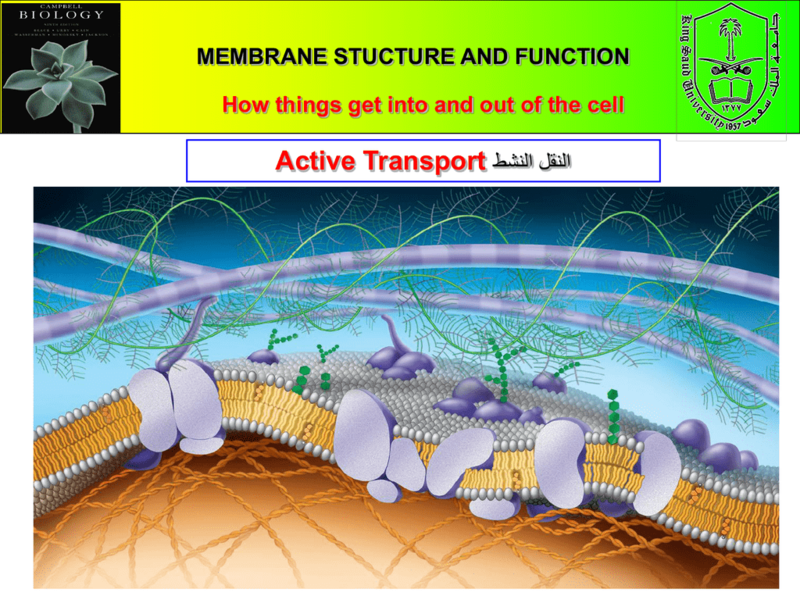 ions (K+) across the membrane. 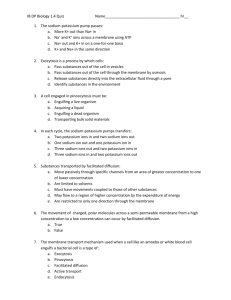 out and 2 K+ ions in. 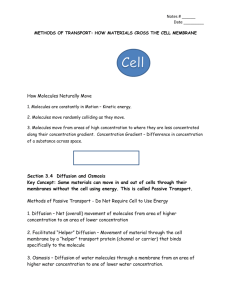 investment of energy to move molecules against their concentration gradient. 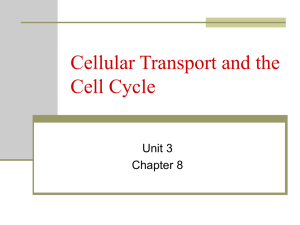 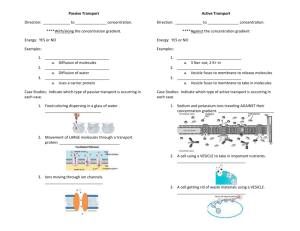 through the lipid bilayer or by transport proteins. 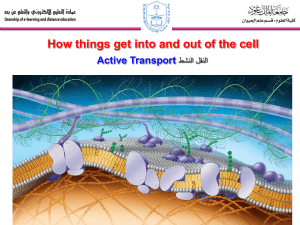 around it and packaging it ‫ تـُغلفها‬in a large vacuole. 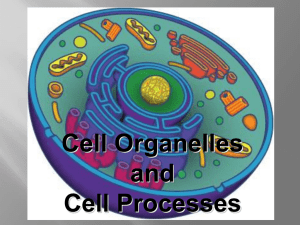 The contents of the vacuole are digested when the vacuole fuses with a lysosome. 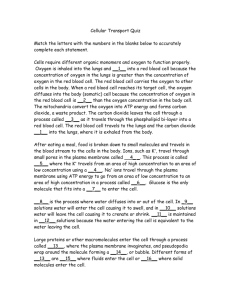 – This is a non-specific process ‫عملية غير متخصصة‬. 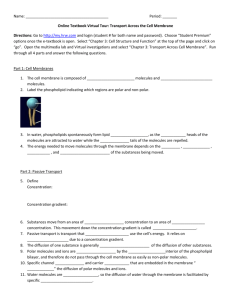 be in low concentrations in the environment.